The Embassy of Sri Lanka in the Russian Federation with the collaboration of the Sri Lanka Tourism Promotion Bureau will launch the fourth phase of the promotion campaign in Ukraine from 1 to 14 October 2013. 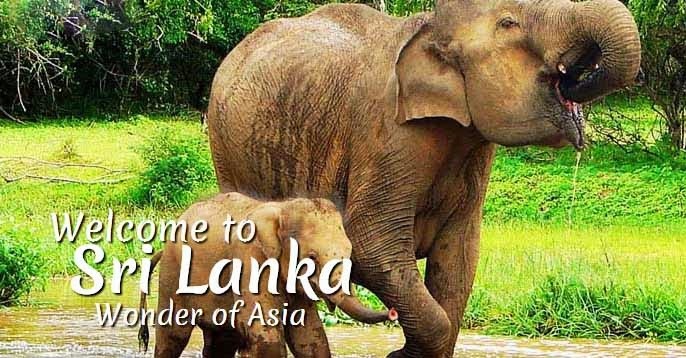 The theme “Days of Sri Lanka in Ukraine ” would certainly suit the campaign this time, thus offering an unique opportunity to both general public and tour operators of Ukraine to learn better of the rich culture, scenic beauty, pristine beaches, traditional dancing, exotic flora and fauna , gorgeous cultural festival and many more of the “Pearl of the Indian Ocean” . The campaign will commence from the city of Kharkov of the Ukraine and will take its journey through four other major cities of the Ukraine, Donestek Dnepropetrovsk, Odessa and Kiev covering a distance of almost 2000 kilo meters on wheels continuing the saga of “Mega Tourism Caravan”. At each city there would be Shopping Mall Activations to include Ayurveda Spa Treatments, Demonstration on Preparation of Traditional Handy Crafts and Liquid Tea Service, Cultural Shows, Workshop for Tour Operators, Press Conferences and Photo Exhibitions. Moreover, in the green city of Ukraine and city of Donetsk there would be a grand cultural show along with a reception held for leading travel and tour operators, media personnel, tea industrialists and Sri Lanka Diaspora. The Embassy of Sri Lanka in the Russian Federation, under the assiduous and untiring leadership and guidance of His Excellency Udayanga Weeratunga is once again the main organizer of this “Mega Tourism Caravan 3”.